The driving force behind eBird India are the birders who contribute to the database. As the community of eBirders continues to grow, it would be nice to get to know about those who form it. The Birder Profile section is one way to do so. 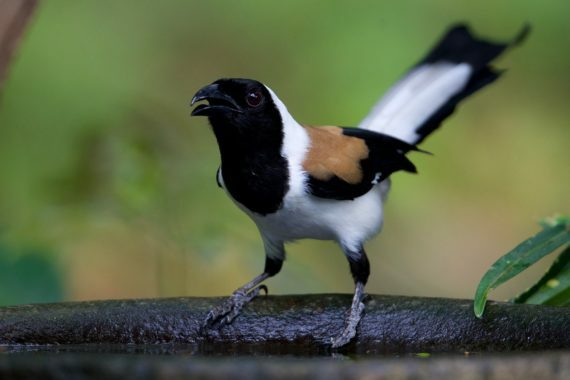 Read on to find out more about Mrs Manju Sinha, who is a regular contributor to eBird. 1. Please tell us a bit about yourself. What do you do and where do you live? I’m from Dehradun, Uttarakhand. I’m a housewife and homemaker. I got interested in birding some 3 years ago when I went with my family to the first Uttarakhand Spring Bird Festival at Asan Conservation Reserve. There I saw many migrant and resident birds for the first time. My son showed us beautiful birds like Ruddy Shelduck, Scarlet Minivets, woodpeckers etc through the binoculars. After that I started birding around my house, I was quite surprised to realize that there are so many different birds around our home but we never noticed them till now. Slowly I became more observant and all kinds of birds started showing up around my house. A field guide and binoculars really helped me to identify the birds. 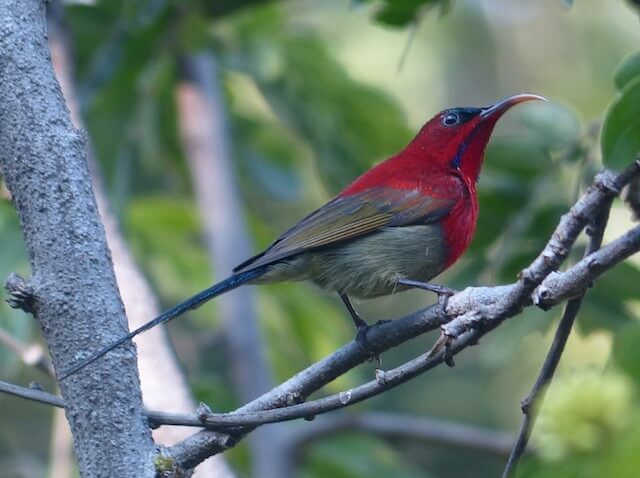 I like watching all the birds but Crimson Sunbird is my favourite. It shows up every now and then around our house. I have some trees around my house where lots of birds show up for feeding on nectar, insects or just for perching. Apart from that I often go to some wetlands with my family to observe more birds. My husband helps me a lot in birdwatching. He always tries to get pictures of birds that are difficult for us to identify so that they can be correctly identified later. Birdwatching is fun either alone or in group. In a group there are more chances of spotting a bird. 6. Anything on the birding bucket list? I wish to go to Sattal in Uttarakhand and other hill areas to watch many hill birds that I haven’t seen yet. 7. Has eBird changed how you bird? Yes, eBird has had a major impact on developing my birding habits. I have filled many diaries with my daily observations, all so that I can upload my lists on eBird. In past 3 years I have submitted a bird list almost everyday! I try to maintain this and try to upload the lists same day. On eBird I have quick access to all my bird lists from past. I’m also a proud recipient of an ‘eBirder of the Year’ in 2015 prize! That was a big thing for me! 8. Have you set any birding/eBirding goals for the coming months? I want to continue observing birds around me and my main goal is to try and see more birds and be consistent on eBird. 9. What is your message for fellow eBirders? My advice to other eBirders is to submit your lists as regularly as you can and keep at it and never give up. Never Give Up is Important message for me as a Last eBirder. She is the Role Model for all eBirders. 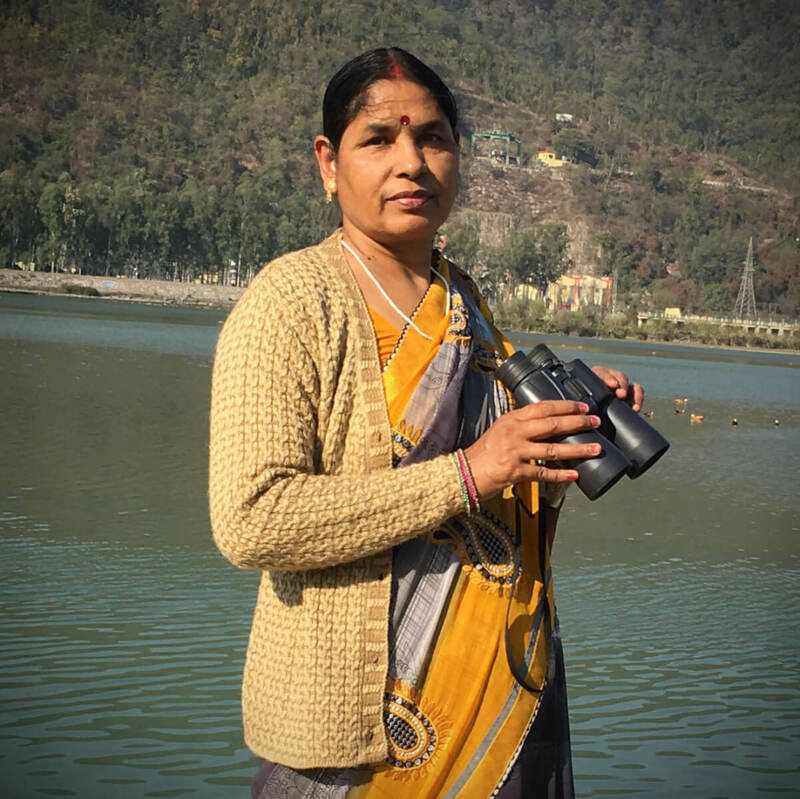 Thanks birdcount team for sharing this lovely interview of Mrs. Sinha, certainly its a creditable achievement by her and it reflects how much a regular birder can contribute in compiling a data over a period of time. Congratulations Mrs. Manju Sinha ! The profile of Ms. Manju Sinha ,a ” house wife and home maker ” ( I can’t figure out the difference between a wife and a house wife!) is interesting. Her initiation into birding,passion for the “winged bipeds” and the e bird platform all contributed together to make her an avid birder. Congrats and best wishes to Ms. Manju. Continue and inspire others into birding.